Safe Setting out of Pipelines and Manholes. Coordinates, Levels, Built in Items, References to Standard details checked. Notes on the drawings have been read and understood. Ensuring that Control stations and levelled benchmarks have been traversed and checked. Ensuring that the Instruments have been checked, levels are 2 peg tested and that they have current instrument calibration records. Checking that the proposed work area has been checked with a Cable Avoidance Tool. Its advisable to use a non metallic staff when working near electricity. Check local authority and utility company drawings for existing services, use hand dug trial holes if required to locate and mark known services, if these are found then the method statement should mention this and the safe work method to be used. Field books are a record of setting out, each page is to be dated and titled. Back sight checks are to be carried out for each level set up, and when observing your orientation point, verify that the coordinates and or Horizontal Distance are accurate to ensure that control stations have not been disturbed. Chainmen should be employed where required, if you are using a joiner or non-trained operative, ensure that they understand your requirements. It’s common knowledge that as engineers you are often rushed when setting out, this causes shortcuts and inevitable errors, plan your setting out in advance and don’t feel pressured by anyone on site to rush through the work and run to the next area, company policy should never compromise quality and safety for the programme. Check your work, take some extra levels, check your lines, and where possible check diagonals with a tape, review the requirements; ensure that you have not forgotten anything. Always check the start position invert level prior to calculating grades, and use the actual level, which should be as per design. Pipeline are to be checked on chainage, this could be every few pipes, for small diameter and every pipe for large diameter, If Quality Assurance record sheets are part of your quality control system then they should be completed correctly( You will be required to complete as built drawings and schedules so this form would be ideal to record position and levels.) record the information on site, and complete the form daily, It is not acceptable to add the start Manhole and end Manhole info only, deviations could be picked up if the client requests a CCTV survey, should a problem be found this would be embarrassing. Lengths of steel process pipework should be checked in the same way, regardless of pipe diameter. Check the standard details for manholes, specific to your site, check if step irons or ladders are required, ensure that there are falls across the internal length of the manholes. Benching should be carried out before the manhole cover slab has been installed, preferably this should be done when the first ring has been set, this saves the prospect of having to bench in a confined space where harness, winch, Breathing Apparatus kit would need to be used requiring more manpower and work would be difficult to complete. 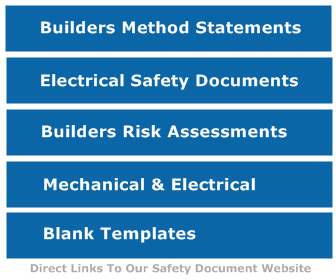 Always refer to the contract standard detail drawings to ensure that the correct brickwork, frame and cover are used. The pipelines must be tested in accordance with the contract specification, any air or water testing of lines should be done by an experienced person. Finally someone mentions the site engineers!, I am always aware of my surroundings when setting out, the tips you gave are very useful.